Tonight, we chat in studio with community leader Alvina Wong, about a coalition working to prevent the Oakland A’s from building a new ballpark next to Oakland Chinatown. And we hear from the survivors of the Gwangju Uprising and how this movement changed the course of Korean history in a piece by APEX producer Marie Choi. Peppered throughout the show, we hear from Tony Robles, an SF native and housing activist, who shares poems from his new book, Fingerprints of a Hunger Strike. 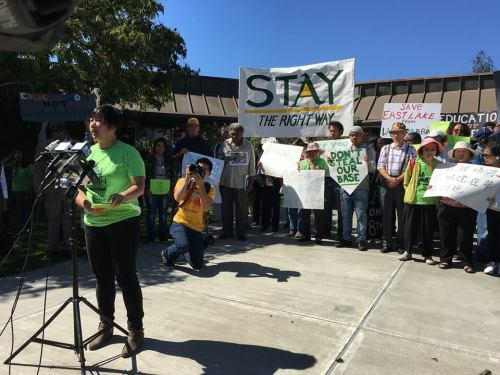 Alvina Wong from APEN and the Stay the Right Way coalition speak out against the proposed Oakland A’s stadium in Chinatown. Joining us in studio is Oakland Organizing Director Alvina Wong from Asian Pacific Environmental Network, who is working to stop the proposed development of a new Oakland A’s stadium near Oakland Chinatown and Laney College. Alvina and the Stay the Right Way coalition organized and delivered a petition with 1,700 signatures opposing the development. 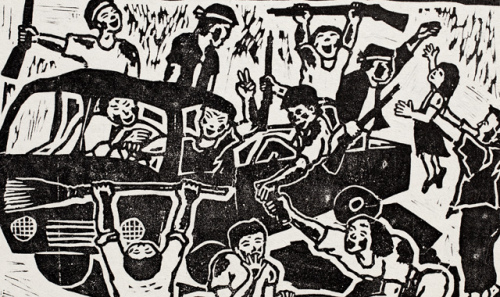 We also play Marie Choi’s powerful piece about the Gwangju Uprising, a pro-democracy uprising against the U.S. imposed military dictatorship in South Korea. This piece was produced by Marie Choi for Making Contact. And we have poetry by Tony Robles. In 2016, a group of five San Francisco activists held a hunger strike to protest the racist killings committed by SFPD earlier that year. 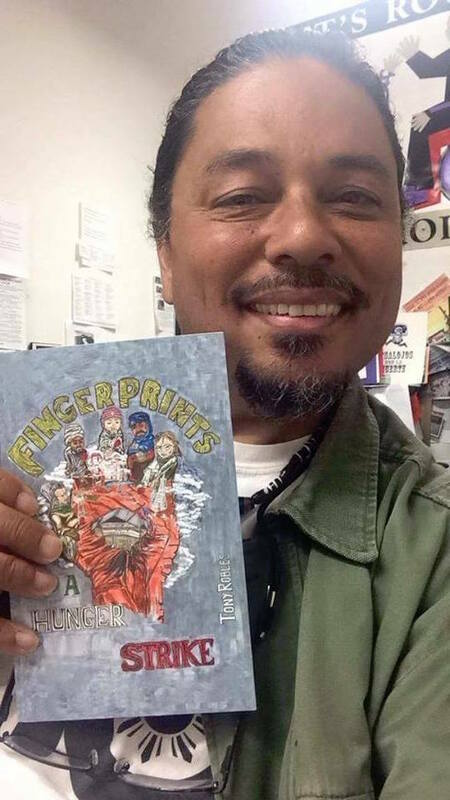 The 16-day strike inspired poet and housing activist Tony Robles to write “Fingerprints of a Hunger Strike.” Fingerprints is a collection of poems about displacement, police brutality, and resistance in the city that he loves. November 10th – The Center for Political Education, Women Cross DMZ, HOBAK, and Catalyst Project are hosting a panel on Averting US War on North Korea: What Progressive Must Know and Do. It’ll be 7-9PM at First Congregational Church of Oakland. November 18th – Greg Watanabe will be telling the story of Gordon Hirabayashi and his impact on civil rights through a dramatic concert reading of “Hold These Truths” by playwright Jeanne Sakata. Tickets are available at fortmason.org and proceeds will go to San Francisco JACL’s Arts and Activism program.